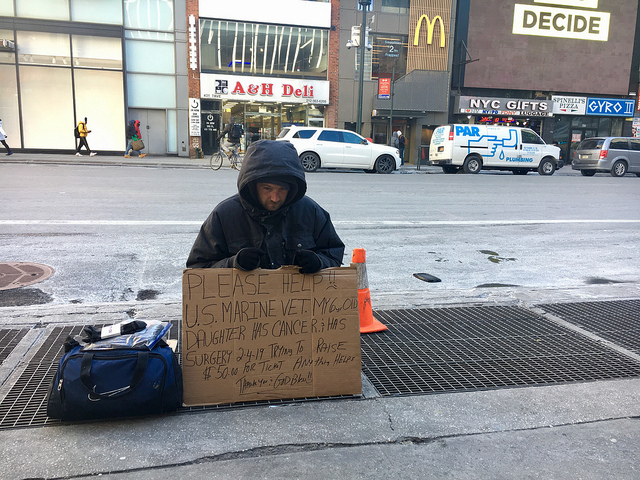 While New Yorkers scrambled to get indoors as single-digit temperatures sweep through Manhattan, the city’s homeless are forced to endure a chilling reality. 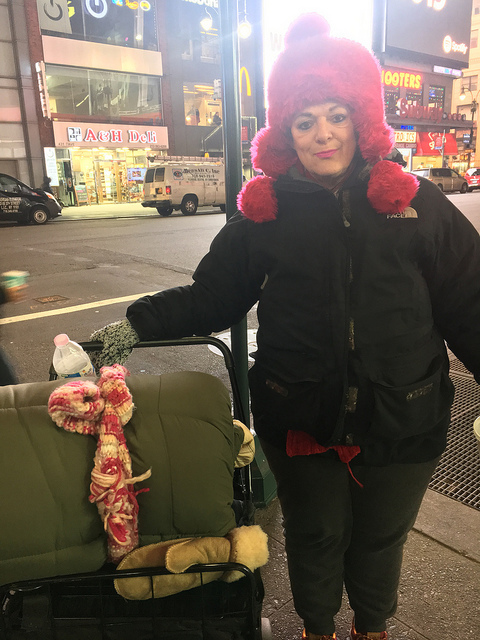 “I usually sleep here in my sleeping bag but it’s 15 degrees,” said 60-year-old Brenda Sprankle, pointing to a small spot nestled between 33rd Street and Fashion Avenue. When temperatures in the city go below 32 degrees, the Department of Homeless Services issues a Code Blue. According to the Office of the Mayor, this means that homeless individuals cannot be turned away from shelters, that drop-in centers are open 24 hours a day to shelter as many people as possible, and that chronically homeless people can get transportation to housing. 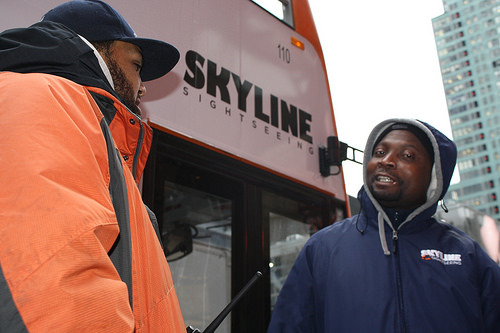 Breaking Ground, an organization partnered with DHS to provide outreach services to the city’s homeless community, said their team works 24-7 to provide housing and assistance. “The only way to stem the homelessness crisis is to build more affordable and supportive housing in neighborhoods throughout the city,” said Breaking Ground press contact Kate Treen in an email. But Sprankle said this organization, among others, as well as the Code Blue system is not an effective strategy to help those living on the streets because of the hidden dangers lying within shelters. She does not want to go into a shelter because of the experiences others have told her about. According to the NYC government website, there were 678 felony, misdemeanor and violation arrests in homeless shelters the third quarter of 2018 alone. After graduating college and working for 35 years, Sprankle became homeless after an unfortunate series of events following a city bus accident in California that left her permanently handicapped with a debilitating lump in her leg and permanent nerve damage in her knee. She is just one of thousands of New Yorkers who sleep on the city’s streets every night. But choosing to sleep in the streets can have a devastating impact. When forced to stay outdoors in temperatures below 31 degrees-Fahrenheit, people can develop frostbite or hypothermia, two conditions that are potentially fatal if left untreated for a prolonged period of time. 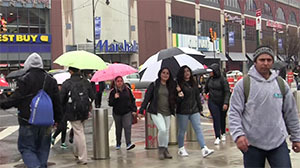 New York City’s Department of Health website states that 25 percent of hospital admission from 2005 to 2013 because of cold-related conditions were homeless individuals. Sprankle knows the effects of long-term exposure in the cold can do. 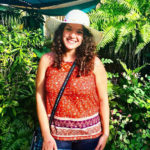 She was hospitalized last winter when she caught the flu and pneumonia after being forced to sleep in zero-degree weather because she was kicked out of an indoor train station. For now, Sprankle is getting through the night with only a few dollars and a cart full of blankets and possessions. The city government website suggests New Yorkers call 311 to have an outreach team help a homeless person who is outdoors in cold weather. Neither the Mayor’s office nor the Department of Homeless Services responded to comment in time for publication.